If an engine light comes up on your dashboard, and after using a scan tool to get the error it come up P0455 error code, there is some common fixes. This is the same for Ford, Dodge, Chevy, or most any vehicle foreign and domestic. 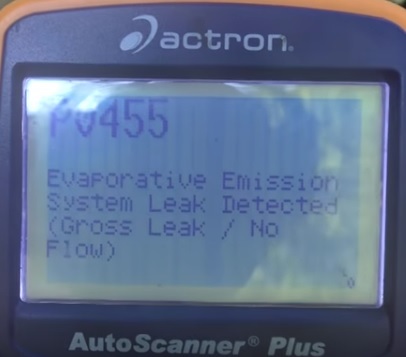 A P0455 Code is a Evap System Large Leak Detected. Here are the two most common causes for this code. Remember there is other problems that can cause this error with the below simply the most common. 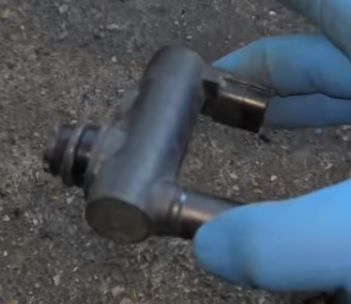 A bad or loose gas cap will cause a P0455 and is the most common fix. Often the cap simply was not put back on but a bad one can also cause this error. Tighten the cap, if the code comes back replace it. If the code come back again the problem is elsewhere. The Evap Canister allows the system to vent when needed. If the valves go bad and dont shut when needed they can cause a leak to appear in the system. A bad valve will leak causing a P0455 to show up. It is usually located near the Evap Canister by the gas tank but be sure to read the manual for the location on your vehicle. The above are the most common causes for a P0455 code but of course it could be something else. For example if some how a gas tank was damaged creating a hole it can also potential create the same error. 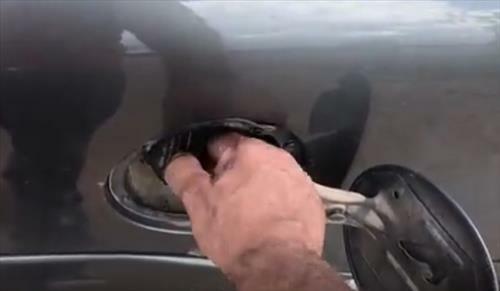 Most the time it is a bad gas cap, but if after replacing it the code comes back, the Evap Canister Vent Valve would be the next likely problem. A mechanic with a good scan tool and a smoke machine can tell what has gone bad which usually cost. If the Vent Valve is easy to get to it may be worth replacing once the gas cap as been ruled out. Of course if in doubt always take your vehicle to a certified mechanic.